The 14th Annual Smoky Mountain Trout Tournament happens this weekend Sat-Sun, September 28-29, offering a fun challenge to several hundred entrants fishing local streams around Gatlinburg and Pigeon Forge that have been stocked with thousands of trout specially for the occasion. This event continues each year to grow in popularity with both locals and visitors. It’s the largest trout tournament in the Smoky Mountains, and acclaimed as one of the best organized fishing tournaments. 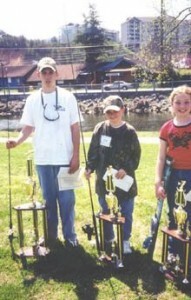 The tournament is great family fun for both seasoned and occasional anglers. There are several children-only fishing areas available, and multiple categories give both kids and adults a chance to win. Attractive drawings and prizes include $500 for largest trout and $500 for smallest trout caught. 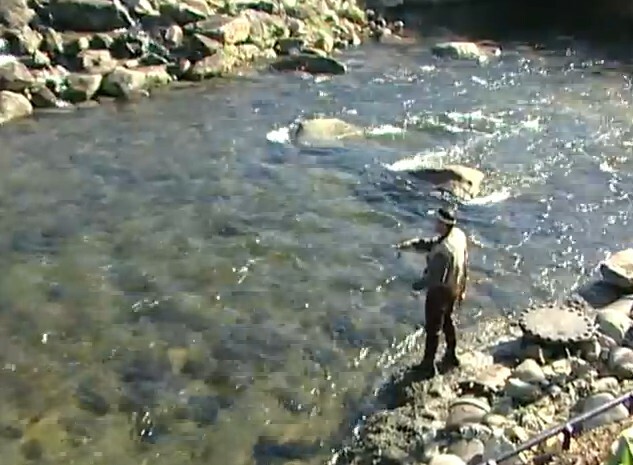 The Smoky Mountain Trout Tournament happens twice each year, on the first Saturday and Sunday in April, and the last Saturday and Sunday in September. Each year features $10,000 in cash and prizes, with over 10,000 trout stocked in 20 miles of local streams. Both Tennessee state rules and Gatlinburg rules apply to entrants, and the license differs for residents and non-residents. Rules and Regulations as well as an online registration form can be found at the Smoky Mountain Trout Tournament web site, and call 865-661-FISH for more information. The action starts 30 minutes before sunrise each day and lasts until the 4 pm weigh-in on Saturday and 2 pm on Sunday. Weigh-in is at Pigeon Forge’s Patriot Park. You must be present to win, and hopefully you’ll have caught your limit by then! From an earlier year, here’s the story on the event from Greg Ward, owner of Rocky Top Outfitters, an organizer of the annual Smoky Mountain Trout Tournament.